Hopeless mission for sure – since Theresa May is not a hologram! Hopeless mission with the help of a projected film in 2D, Peppers Ghost, that´s a question. But, that May leads a hopeless mission as a hologram, that´s however for sure. A video projection of May has nothing to do with the laser technique holography, producing 3D holograms. 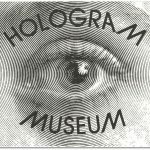 A hopeless mission for the holography industry too, trying to inform Press/Media that projection techniques are just projections, computer animated films using video (videos) to project the film in 2D. The holography scientists have tried for years to stop the false marketing but it´s like “mission impossible” as long as Press/Media ignore the facts.